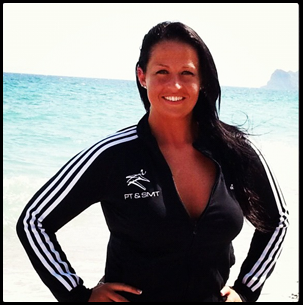 My name is Sascha Whiteley, I am a Fully Qualified Female Personal Trainer, Sports Massage Therapist and I also teach a variety of classes. I have been in the health and fitness industry for over 10 years and I am located in Bournemouth/Poole, Dorset. 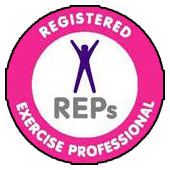 I am an accredited member of The Register of Exercise Professionals (REPS), fully insured and first aid trained. I hold certificates from Premier Training International, National Academy of Sports Science, Central YMCA Qualifications, Body Training Systems and other top health and fitness educational companies. As a highly qualified and experienced personal trainer, I specialise in weight loss, body conditioning & toning, sports conditioning, injury rehabilitation & prevention, back strengthening & postural training, core stability, strength training, functional training, post & pre natal training, stress management and also nutrition & weight management. I have 100% success rate with my clients, simply through correct exercise prescription and specific bespoke dietary changes! I have a diploma in sports massage therapy ascertained with Premier Training International in which I gained the expertise to specialise in clinical issues, anatomical and physiological assessment, sports massage techniques, soft tissue damage and repair and post care advice. I can help you release your muscle tension, reduce your stress levels, take away pain from achy muscles, speed up your injury recovery time and prevent re-injury. Massage has many benefits and can help people of all ages, life styles and levels of fitness. Due to my job and the sports I take part in I found my back was aching constantly and my Range Of Movement wasn't good! 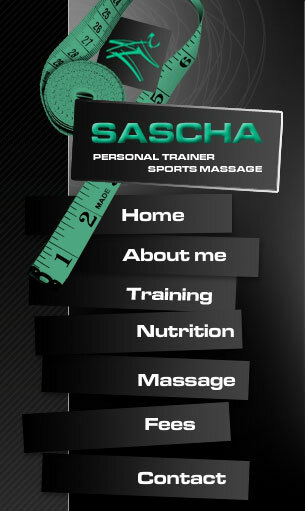 Sascha Sports Massage Therapy has helped me with my flexibility, mobility and strength with her massage treatments, post care advice and a sports specific program. My Swimming; I now train harder and recover faster resulting in personal bests! Golf; My ROM has increased and my handicap has now improved! Sports massage has made such a big difference to my day to day life and I am now able to perform in my sports and at work I am pain free. I can honestly say they are the best sports massage as I've had and I have had a few therapists in my past but have never had as the results I am getting now. I would highly recommend Sascha to anyone!